Finals week. I'm sitting at home putting together an argument for why I believe it's important to instruct in rhetorical grammar in the classroom. If not that, then I'm writing about the development of practical literary pedagogies for the classroom. If not that, I'm reading up on my Foucault for my thesis. If not that, I'm sleeping. Thus, no time to cook or blog. As such, I'm sending you over to Simply Recipes where you can find some of my other stuff which is totally all super awesome for the holidays because 1) cookies = Christmas, and 2) baking cookies warms your place and makes it smell all tasty-like. 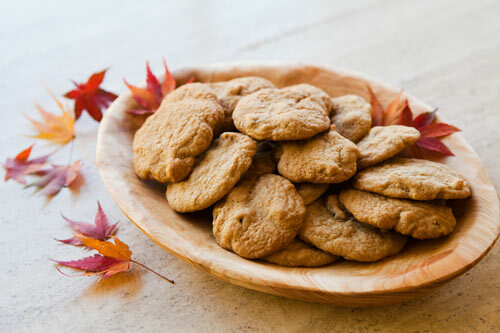 You'll find a total list of my cookie and other recipes at Simply Recipes here. 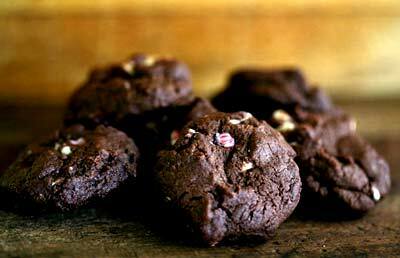 You can also find a list of cookie recipes on Vanilla Garlic by clicking here. Hope you enjoy, and happy baking. This must be the most delicious cop out ever. Good luck with everything! Good luck Garrett! Keep your head up the finish line is getting closer! What Foucault are you reading? I'm in hell right with you...thanks for the distractions. just wanted to stop by and say hi, yummy cookie pics! good luck! 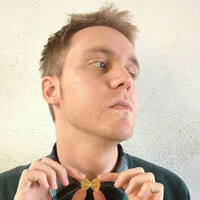 I've been blog creeping you for a while. I love your writing! 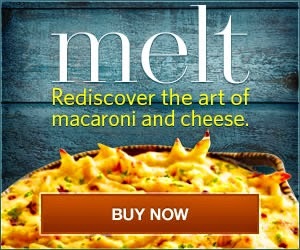 I'm an emotion drivin chef too and have tried many of your recipies. Good luck the end is in sight! non food related, but omg i love foucault so hard. what are you reading of his? Best of luck with your finals, Garrett! I'm in finals week, too. 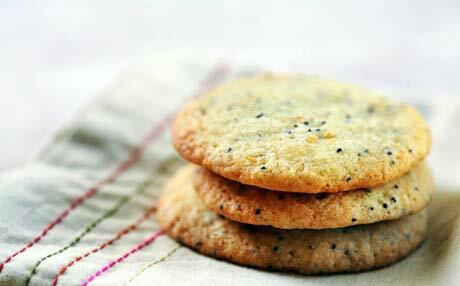 Oh, it was you who thought up those great poppy seed cookies. We love that recipe. The first time I made it we ate the entire batch of cookies in a few hours. I could never get them as flat as on that picture though, they always became puffy cakey kind of things. Thanks for the recipe! Hey, there's nothing wrong with a little Foucault every now and again. ;) I personally find Bourdieu more applicable to my research, but that's because I tend to look at micro-level interactions. For Garrett's research, Foucault is probably more appropriate because both he and Garrett are analyzing at the discursive level. As I understand it, Garrett is examining the rhetoric of Slow Food recipies. Foucault's explorations of the episteme and the ways in which a particular discourse is socially constructed are useful for Garrett's research idea. Foucault, of course, did this by looking at the historical ways in which a particular practice is not only made possible but also made to seem natural and self-evident. So with the rhetoric of Slow Food recipies (in the Italian context, for example) Garrett would be looking at the ways in which the discourse of a national cuisine is constructed (in Italy) and the ways in which that has changed over time to allow Slow Food to be a reaction to a perceived take over by fast food. I'm speaking too much for Garrett, here and should allow him to insert his ideas in case I've misrepresented his project. I just thought I would defend Foucault for a second. @Garrett- We aim to please. I assume you've read Petrini, but you might also find David Sutton's Rememberance of Repasts useful (particularly the last chapter on "Doing/Reading Cooking"). Lisa Heldke has also done some work on recipes, but in the context of colonization. Thus her book, Exotic Appetites: Ruminations of a Food Adventurer, might not be of that much use to you. She has a chapter in the second edition of Counihan's Food and Culture: A Reader that says some of the same things in a shorter version. I might have an electronic copy of that chapter somewhere. Email me if you'd like it. Also it might be interesting to posit the Slow Food movement as a reaction to the problems of post- (or late-)modernity. For this you could use Kenneth Gergen's The Saturated Self: Dilemmas of Identity in Contemporary Life or Holstein and Gubrium's The Self We Live By: Narrative Identity in a Postmodern World. I personally disagree with Gergen's conclusion that the problems of postmodern identity are as bad as he makes them out to be. What I've read of it came off as myopic nostalgia for a mythologized pre-post-modernity. Nevertheless, his insights on the effects of technology on our perceptions of space and time are on point. Holstein and Gubrium, on the other hand, I found quite agreeable once I realized that while they say they are reconciling identity with postmodernity, they are (in my mind) actually reconciling late modernity with identity. I'm with Beth. I love Foucault, as well. I've read a few things by him in grad school. What are you reading by him?